W hen you work with a member of the Project Management Institute (PMI®), you work with a professional who is governed by a written Code of Ethics and Professional Conduct. In fact, this Code of Ethics also applies to: all non-members who hold a PMI® certification, all non-members who are applying for a PMI® certification, and all non-members who provide volunteer services to PMI®. PMI’s Code of Ethics is rather straightforward and easy to digest. It’s divided into sections that are aligned with the following four values: responsibility, respect, fairness, and honesty. Within each section, there are two types of standards: mandatory standards and aspirational standards. So, in the section dealing with the value of responsibility, the Code of Ethics and Professional Conduct sets forth both mandatory and aspirational standards. The mandatory standards include a short list of items like upholding the law and reporting unethical or illegal conduct. These mandatory standards are like a floor. They represent the minimum standard of conduct to which a practitioner must adhere. Failure to adhere to a mandatory standard can subject a practitioner to disciplinary procedures before PMI’s Ethics Review Committee. Within the section regarding responsibility, there are also aspirational standards. We expect ourselves to rise up to these standards. They represent what we demand of ourselves as professionals. 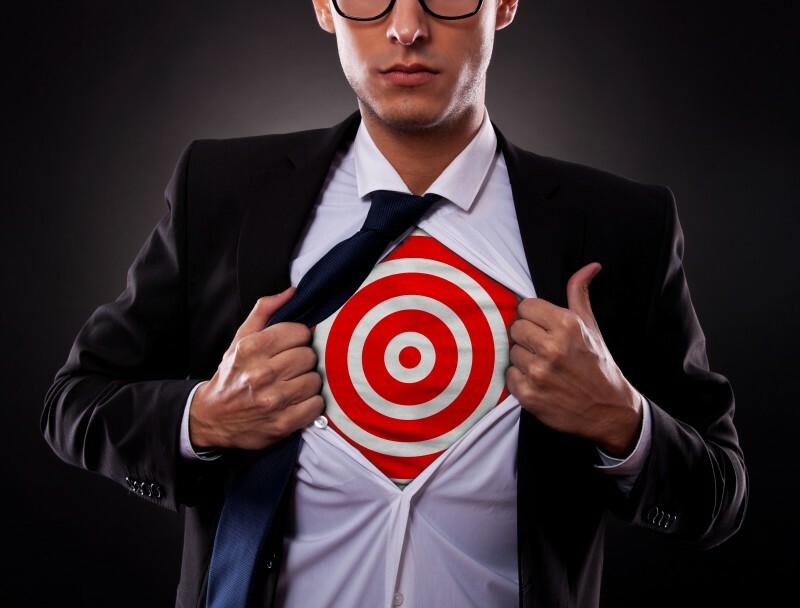 Our duty to take ownership is much like wearing a target. Did the project manager estimate the work activities? Did the project manager create the schedule? Is the project behind schedule? Who, then, is accountable? The project manager. The best project managers understand this concept and embrace it. They lead the way by staying on the forefront of their projects and by remaining fully accountable. Though they voluntarily wear the target, this single code section is what creates it. The Code of Ethics provides six aspirational standards regarding responsibility. Most of these standards point back to the duty to take ownership. For example, section 2.2.2 explains that when we make errors, we must take ownership and make corrections promptly. Section 2.2.3 relates that we must fulfill the commitments that we undertake. Upon further reading, a comment relating to this standard goes on to explain that, “Where developmental or stretch assignments are being considered, we ensure that key stakeholders receive timely and complete information regarding the gaps in our qualifications so that they may make informed decisions regarding our suitability for a particular assignment.” In other words, this comment explains that, if we are expanding our areas of expertise, we must receive informed consent from key stakeholders. In summary, 2.2.2 relates that we should only accept assignments that are consistent with our backgrounds and the official comment notes that if we accept an assignment that merely stretches our experience, we must receive informed consent from key stakeholders. What appears lacking in our Code of Ethics and Professional Conduct is the comments or discussion that provides guidance on how to accept assignments that are outside our experiences. What we aren’t considering is how to grow our areas of expertise and still provide competent service. Because statistics point to a shortage of project management professionals, it seems this is an area ripe for discussion. The American Bar Association addresses this same topic in the comments section of their code. See the comment section of Model Rules of Profession Conduct, Rule 1.1 Competence. The Model Rules state that a lawyer shall provide competent representation and it defines what is meant by competent. The comment section then gives examples of how a lawyer can become competent to handle new legal problems. Associating or consulting with a lawyer of established competence in the field. Having important (strong) legal skills that apply to all areas of practice like the analysis of precedent. It seems that these same principles could apply to project management. Should a practitioner who manages relocation projects desire to manage transportation projects, he or she could associate or consult with an experienced transportation project manager. Further, a project manager’s strong skills in stakeholder identification, requirements gathering, estimating and so forth could go a long way to helping ensure his or her competence in the new project area. Likewise, additional study could help the practitioner become competent. If you’re a member of PMI® or a PMI certified professional, you wear the target. It’s yours. Your duties include taking ownership of your decisions and actions and accepting assignments that are consistent with your background. If you accept a stretch assignment, you have a duty to notify key stakeholders regarding the gaps in your qualifications. If you’re managing a new project type, you’re still wearing the target. In fact, the target is probably a bit larger. When you’re managing a new project type, how can you shrink your target? The American Bar Association identifies a few ways for attorneys to become competent to accept new assignments. What additional comments to PMI’s Code of Ethics and Profession Conduct, section 2.2.2, should be included to guide project managers on becoming competent to accept the management of new project types?